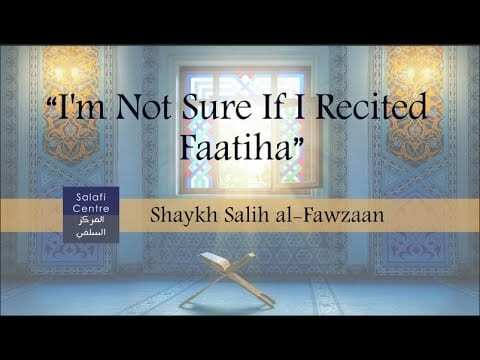 Ash Shaykh Saalih Al Fawzaan (hafidahullah) was asked regarding a woman who prayed but does not remember if she has recited Al-Faatihah or not? If this was from the angle of Waswaas [Satanic whisperings] and it occurs a lot to her then indeed she should not pay attention to it. As for if this was accidental (i.e. left out unintentionally) then the origin is that she has not read it, therefore it is a must that she reads it.